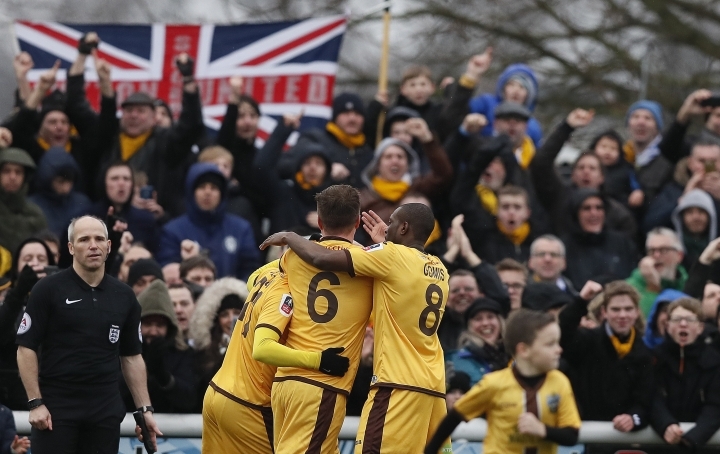 LONDON — Fifth-tier side Sutton will host Arsenal at its 5,000-seat London stadium in the last 16 of the FA Cup next month. Fellow National League side Lincoln also drew on Monday topflight opposition, Burnley. 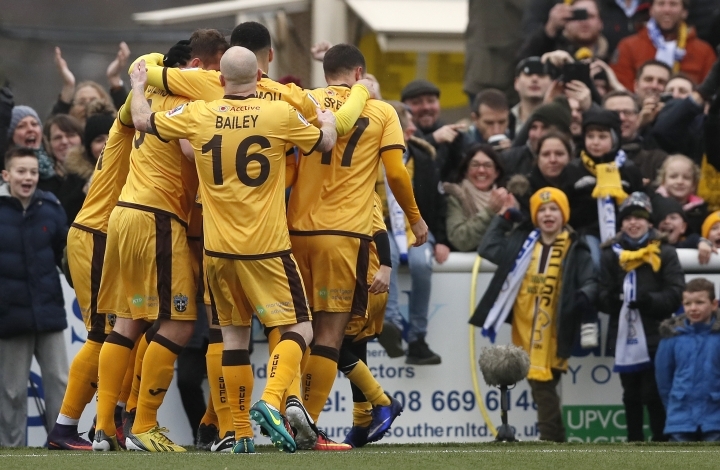 It's the first time two non-league sides have reached the fifth round. Wolverhampton earned a home match against English Premier League leader Chelsea for knocking out Liverpool. Tottenham has an all-London match at Fulham, cup holder Manchester United travels to Blackburn, and Manchester City goes to Huddersfield. League One side Millwall faces the winner of the replay between Leicester and Derby. The matches are to be played from Feb. 17-20. Draw: Burnley vs. Lincoln, Fulham vs. Tottenham, Blackburn vs. Manchester United, Sutton vs. Arsenal, Middlesbrough vs. Oxford, Wolves vs. Chelsea, Huddersfield vs. Manchester City, Millwall vs. Derby or Leicester.